Everyone is trying to look for guilt-free alternatives to enjoy their share of sugar, salt, and fat. There is really no sense in searching because everything unhealthy is guilt-free because they will not take their toll on other people. You alone will enjoy and suffer the consequences later on. There’s should be no guilt there, only regret. There have been so many lists made containing the disadvantages of eating unhealthily. Now, here is a list of its benefits. Food becomes unhealthy when it is packed with too much sugar, butter, salt, and fats. In other words, food becomes unhealthy when there is too much good taste. 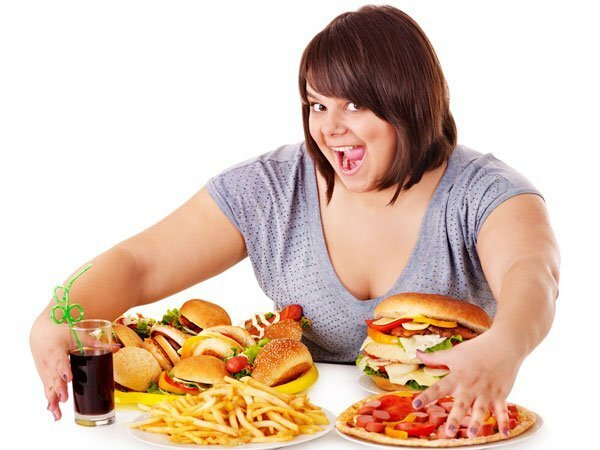 There are very few articles that encourage unhealthy eating and that is simply because you don’t have to sell it. Given the chance, everyone will eat unhealthy food because they are the best tasting foods on the planet. Sugar is delicious and you should have more of it. That label saying “Sugar-Free” should be reversed and turned to “Free Sugar”. To be young, you have to be a bit careless. Try to watch how kids eat. They will eat their hamburger even if it already fell to the ground. They don’t mind that extra dust, soil, and dirt at all. Certainly, they won’t mind the extra cheese, salt, and mayonnaise as well. Sure, you’ll be in a hospital bed sooner than everyone else but, that is just a few days of envying others who stand to live longer and a few days of regret. Now, compare that to the number of years where everyone is envious of your unhealthy diet. Who got more out of life? It’s alright to eat unhealthily because everyone else is doing it. Did you ever wonder why there are so many articles on the internet discussing the perils of eating junk and calorie indulging foods? That’s because the whole world is practically the target audience for that reminder. This is basically how the human body works. If you challenge it, your body will become stronger. If the human body cannot adapt to the challenges of every force of nature then, we would have gone out of existence along with the other animal species that didn’t survive time. If you can survive through winter, you can surely survive a gallon of sugary ice cream. If you are too thin, you just have to quit worrying about calories, fat, and sugar. Those things are somebody else’s concerns. One of the reasons why some people are having trouble putting on weight is because they don’t enjoy eating that much. To put joy into eating, you have to put more joy in the food ingredients. What are these “joy” ingredients; sugar, salt, and fat. Fries are better tasting when cooked in lard. The green salads taste better with heaps of Caesar salad dressing. If you lack lock some tender loving care and attention, eating unhealthily is one good way of getting some from your loved ones. If you are still not getting any then, just go ahead. Nobody seems to mind losing you and you’re too miserable to go on. If you don’t eat fatty and sugary foods, why the hell are you exercising? You need some energy to burn out there in the gym. Would you rather burn good food or foods that are useless? Would you rather be throwing money or wood in your fireplace? In addition to this, unhealthy food gives you one more reason to pray before your meals. Aside from giving thanks, you can also request for protection. People are remembered by the way they look during their last few years on this earth. If you want to be remembered as you are during the most physically attractive stage of your life then strive to exit early. If you are taking hypertension medication that’s pulling your blood pressure readings down then, you have to put it up so that the net effect will be somewhere in the middle which is normal and healthy. If you are taking insulin then, do the same with your sugar intake so you’ll have a perfect reading. Low blood pressure and low glycemic levels are as bad as the other side of the extremes, maybe even worse. If you are drinking maintenance pills to stay healthy, you better eat unhealthy foods to keep you in the balance. People who keep on watching your diet are older people who are already experiencing the disadvantages of their fun and carefree early life. Problems of diabetes and hypertension are not yet your concerns. Whatever you do, you’ll have them because of genetics. While you are on the journey towards those medical conditions, might as well enjoy the ride. The best way to live is to enjoy the best food for the longest time possible. There is no doubt that some of the tastiest foods are unhealthy. Depriving yourself of these is like depriving yourself of life. Find that balance between good health and eating like crazy. There’s no reason why you can’t have the best of both extremes. It is fun to talk about eating but it is nothing compared to actual dining at Max & Erma’s. We’ve talked too much. Now, it’s time to eat!